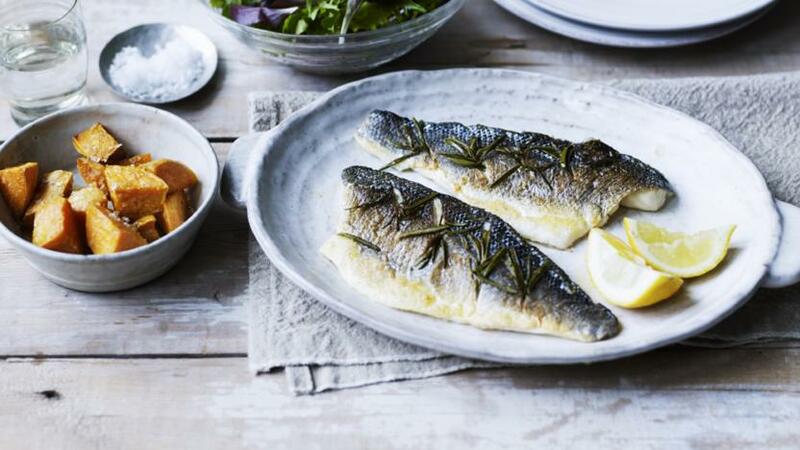 A simple and delicious sea bass recipe for one. Wonderful served with mashed or roasted sweet potato. Slash the skin side of the sea bass diagonally so that the flesh is exposed. Put a generous amount of the rosemary into the pockets. Rub the rest of the fish with olive oil and sprinkle with salt. Sear in a pan skin-side down until the skin starts to crisp. Transfer to the hot oven for five minutes. Serve with a drizzle of fresh lemon and good olive oil.